Richard Bentley, philologist and classical scholar, was born on 27 January 1662 at his maternal grandparents’ house at Oulton, the second child of Thomas Bentley (bap. 1637, d. 1675), a yeoman farmer, and his wife, Sarah (bap. 1642, d. in or after 1684), the daughter of stone mason Richard Willies and his wife, Ann. His paternal grandfather, James Bentley, born at Heptonstall, settled in Methley, the parish of his wife, Jane Crabtree. He is said to have been a civil war royalist captain and died a prisoner at Pontefract. Thomas Bentley may have owned property at Woodlesford. Richard Bentley was baptised at Rothwell on 6 February 1662. He had four siblings: James, Ann, Joseph, and Mary. THE REV. RICHARD BENTLEY – Doctor of Divinity. 1662 – 1742. This very extraordinary and celebrated person was bom at Oulton, in the parish of Rothwell, about five miles from Leeds, on the 27th of January, 1662. His ancestors were respectable, and long possessed an estate at Heptonstall, in the parish of Halifax. James Bentley, the grandfather of the subject of the present sketch, was a captain in the royalist army in the civil wars, who was involved in the fate of his party; his house was plundered, his estate was confiscated, and he died a prisoner in Pontefract Castle. Thomas Bentley, the son of this martyr to royalty, who owned a small estate at Woodlesford, married in 1661, Sarah, the daughter of Richard Willie (or Willis), of Oulton, who had also been an officer in the army of Charles I; he being then a widower considerably advanced in life, while she was only eighteen. To this gentleman, who was left his guardian, Richard Bentley was, in part, indebted for his education; and having gone through a day school at Methley, and the Grammar School at Wakefield, with singular reputation, both for his proficiency and his exact and regular behaviour, he was admitted a sizar of St. John’s College, Cambridge, under the tuition of Mr. Johnson, on the 24th of May, 1676, being then only four months above fourteen years of age. In 1680 he took his degree of Bachelor of Arts, on which occasion his name appeared sixth in the list of mathematical honours. On the 22nd of March, 1682, he stood candidate for a fellowship; and would have been unanimously elected, had he not been excluded by the statutes, on account of his being too young for priests’ orders. He was then a junior bachelor, and but little more than nineteen years old. It was soon after this that he became a schoolmaster at Spalding. After twelve months he accepted the office of private tutor to the son of Dr. Stillingfleet, Dean of St. Paul’s – an office in which he enjoyed the benefit of one of the best private libraries in the kingdom, as well as the society of its learned possessor. In July, 1683, he took his degree of Master of Arts. He had all along been looking forward to taking holy orders; but in 1685, when he completed his twenty-third year, James II came to the throne; and his hostility to the Church of England made Bentley pause a while in his intention. He afterwards went, with Dr. Stillingfleet’s son, to the University of Oxford, and being then at age, he made over a small estate, which he derived from his family, to his elder brother, and immediately laid out the money he obtained for it in the purchase of books. It is recorded of him, that having, at a very early age, made surprising progress in the learned languages, his capacity for critical learning soon began to display itself. 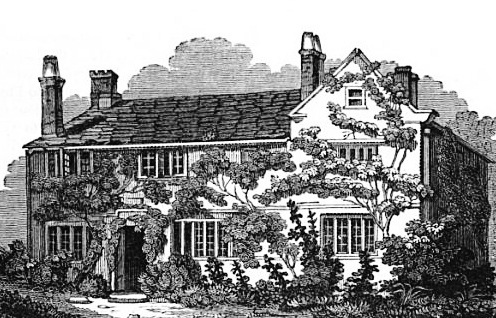 The house where Richard Bentley grew up. Before the age of twenty-four, he had written with his own hand a sort, of Hexapla, in the first column of which was every word of the Hebrew Bible, alphabetically disposed; and in five other columns all the various interpretations of those words in the Chaldee, Syriac, Vulgate Latin, Septuagint, Aquila, Symmachus, and Theodosian, that occur in the whole Bible. This he made for his own use, to know the Hebrew, not from the late Rabbins, but from the ancient versions, when, excepting Arabic, Persic, and Ethiopic, he must then have read over the whole Polyglott. He had also at that time made, for his own private use, another volume of the various lections and emendations of the Hebrew text, drawn out of those ancient versions, which, though done at such an early age, would have made a second part to the famous Capellus’s Critica Sacra. On the 4th of July, 1689, he was incorporated M.A. in the University of Oxford, where he could for a time revel in the treasures of the Bodleian; and is mentioned by Anthony Wood (though then but a young man a good deal under thirty) as a genius that was promising, and to whom the world was likely to be indebted for his future studies and productions. Being ordained deacon at length, in 1690, he received the appointment of chaplain to the Bishop of Worcester. Meanwhile he did not neglect his classical studies. In 1691, he published a Latin epistle to John Mill, D.D., containing some critical observations relating to Johannes Malala, Greek Historiographer, published at the end of that author, at Oxford. This was the first piece that our author published. Nor was religion less indebted to him than learning, for in 1692 he had the honour to be selected as the first person to preach at Boyle’s Lectures (founded by the Hon. Robert Boyle, to assert and vindicate the fundamental truths of natural and revealed religion), upon which occasion he successfully applied Sir Isaac Newton’s Principia Mathematica to demonstrate the being of God, and altogether silenced the atheists, who, in this country, have, since that time, for the most part, sheltered themselves under Deism. Evelyn was in St. Martin’s church when the second of these addresses was delivered; and the high opinion he there formed of the author’s merits led to a warm friendship between them. Bentley’s Boyle Lectures are deservedly esteemed, have passed through many editions, and been translated into several foreign languages. There is a good edition by the Rev. A. Dyce, which will amply repay perusal. On the 2nd of October, 1692, he was installed a prebendary of Worcester by Bishop Stillingfleet. Upon the death of Mr. Justel, Mr. Bentley was immediately thought upon to succeed him as keeper of the royal library at St. James’s; and accordingly, a few months after his decease, he had a warrant made out for that place from the secretary’s office, December 23rd, 1693, and had his patent for the same in April following. Soon after he was nominated to that office, before his patent was signed, by his care and diligence he procured no less than a thousand volumes of one sort or another, which had been neglected to be brought to the library, according to the act of parliament then subsisting, which prescribed that one copy of every book printed in England should be brought and lodged in this library, and one in each University library. In the following year he was made one of the chaplains in ordinary to the king. It was about this time, and upon this occasion of his being made librarian, that the famous dispute between him and the Hon. Charles Boyle, whether the Epistles of Phalaris were genuine or not, in some measure, at first took rise, which gave occasion to so many books and pamphlets, and has made so much noise in the world. Bentley rejoined by his enlarged Dissertation on Phalaris, a volume of lasting value to the lovers of ancient literature. The loudness of the outcry raised against him made him write cautiously, and therefore well. 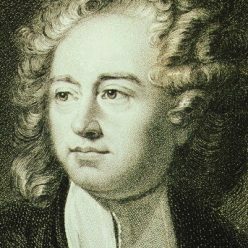 In the words of Macaulay, in his Essay on Sir William Temple:”His spirit, daring even to rashness, self-confident even to negligence, and proud even to insolent ferocity, was awed for the first and last time; awed, not into meanness or cowardice, but into wariness and sobriety. For once he ran no risks, he left no crevice unguarded, he wantoned in no paradoxes; above all, he returned no railing for the railing of his enemies. When, in 1696, he was admitted to his degree of Doctor of Divinity, he preached, on the day of the public commencement, from 1 Peter iii. 15, “Be ready always to give an answer to every man that asketh you a reason of the hope that is in you.” In 1700, upon the resignation of Dr. Montague, he was by the Crown presented to the Mastership of Trinity College, Cambridge, which is reckoned worth near £1,000 per annum, and was also in the same year Vice-Chancellor of the University; upon obtaining which preferment, he resigned his prebend of Worcester; but June 12th, 1701, on Dr. Saywell’s death, he was collated archdeacon of Ely. It had been intended that the young Duke of Gloucester, on whom the hopes of the nation then rested, should be educated under the immediate superintendence of the new Master; but this design was frustrated by the death of the former, July 29th, 1700. What next employed his critical genius were the two first comedies of Aristophanes. Upon these he made some curious annotations, which were published at Amsterdam in 1710; as was much about the same time at Rheims his Emendations, &C., on the Fragments of Menander and Philemon, in the feigned name of “Phileleutherus Lipsiensis.” Under this character he appeared again, in 1713, in remarks upon Collins’s Discourse on Freethinking, a book which had made no small noise in the world at that time. This he handles and confutes in a critical, learned, and yet familiar manner. Before his Remarks on Freethinking, in 1711, came forth his so long-expected and celebrated edition of Horace. On the 5th of November, 1715, the doctor preached a sermon before the University against Popery, on which somebody soon after published remarks which occasioned Dr. Bentley’s answer, entitled Reflections on the Scandalous Aspersions cast on the Clergy, by the Author of the Remarks on Dr. Bentley’s Sermon on Popery. This was printed in 1717, in 8 volumes. In 1716, at which time he succeeded to the chair of Regius Professor of Divinity, the doctor had two printed letters inscribed to him, dated January 1st. He very shortly added his answer concerning his intended edition of the Greek Testament, giving some account of what was to be expected in that edition. In 1725, at a public commencement on the 6th of July, the doctor made an elegant Latin speech on creating seven doctors of divinity. 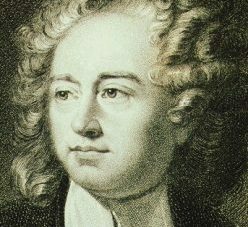 About 1732, the doctor published his Milton’s Paradise Lost, when he was, as he says in his preface, about seventy years old. This is a very elegant and beautiful edition of that poem, but cannot be said to have contributed much to the editor’s reputation. The dispute between Dr. Bentley and the University, and the proceedings of the latter against him, we have no inclination to detail, nor would the narrative be either agreeable or useful to our readers. It originated in a demand which Dr. Bentley made of four guineas from several doctors who were attending in the senate house to receive their degrees the day after a visit from the king (George I.). Those who are inclined to examine further into the dispute may peruse the well-written life of Bentley, by Hartley Coleridge, in his Northern Worthies. Bentley, it is well known, gained the victory in the contest, and the Court of King’s Bench sent down a mandamus to restore Dr. Bentley to whatever honours he might have been deprived of in the course of the dispute. After this triumph he employed himself in various literary undertakings until his death, July 14th, 1742, aged eighty years. Bentley’s character was distinguished by sternness and perhaps querulousness; his wit was caustic and severe; and whatever commendation may be bestowed upon him as one of the most learned men of his day, he could not have been involved in so many quarrels, unless there had been something reprehensible as well as unfortunate, both in his manners and in his temper. In his domestic relations Bentley was pre-eminently happy. He married, January 4th, 1701, Joanna, daughter of Sir John Bernard, of Brampton, in Huntingdonshire; and during the forty years that she shared his joys and sorrows, her gentle manners and excellence of disposition did much to smooth his frequently rugged path. She died in 1740, leaving three surviving children. Of these, Richard, who showed such early promise that he was made a Fellow of Trinity College at fifteen, became in after life the friend of Horace Walpole. Of the other two, who were daughters, Elizabeth, the elder, married for her first husband Humphrey Ridge, Esq., a Hampshire gentleman, and for her second the Rev. James Favell; the younger one, Joanna,* who was the “Phoebe” of Byron’s beautiful pastoral in the Spectator, married the Rev. Denison Cumberland, afterwards Bishop of Kilmore, and became the mother of Richard Cumberland, the well- known dramatic writer. 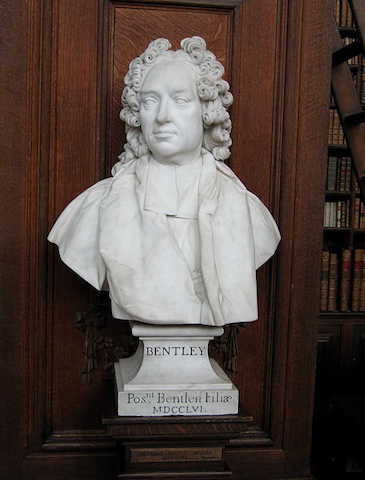 Bentley was esteemed by the best judges to be the greatest critic in the learned languages of the age in which he lived; and was more celebrated for his extensive and uncommon erudition in foreign nations, than in his own country. But there appears to have been something haughty and overbearing in his manners and behaviour, which caused him to have many enemies. He was also apt to speak too contemptuously of others, and especially if he had any personal pique against them. But, independent of the above, Dr. Bentley seems to have been a very agreeable and entertaining companion; and this he was enabled to be, not only by his extensive erudition, but by his wit and humour, of which he possessed a considerable degree. It was certainly not merely the haughtiness of his behaviour, which procured him enemies in his own College and in the University. His superior learning and abilities excited envy (he being at that time, there is great reason to believe, the most learned man in England, if not in Europe); and many of the Fellows of his College were much disgusted at sundry regulations which he made therein, though those regulations were evidently agreeable to the design of the founder, and calculated for the promotion and encouragement of learning. As a scholar, Bentley had perhaps no rival; the only man who can be placed in competition with him is Joseph Justus Scaliger; but, though we are far from wishing to underrate the merits of the latter, we confess that, in our opinion, Bentley has more valid claims on the gratitude of the learned. His name constitutes an epoch in the history of philology. He united in one person the copious erudition of the older scholars, and that peculiar felicity in verbal emendation which is so remarkable in some modern critics, and especially in Porson and Monk. His library passed into the hands of his son, Dr. Richard Bentley, a man of learning and talent, but of too desultory habits to obtain eminence in any pursuit. The books were purchased after his death by the house of Lackington, from which they were repurchased by the British Museum. This marble bust of Richard Bentley by Louis Francois Roubiliac is in the Wren Library at Trinity College, Cambridge. Click on the image to see more sculptures and paintings.